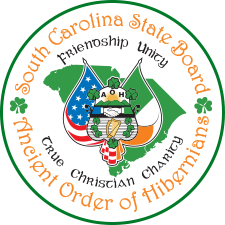 History of the AOH South Carolina State Board Project St. Patrick Fund. Project St Patrick (PSP) is a Fund that was initiated by the South Carolina State Board to encourage “Prayer, Support and Promotion” of vocations here in the Charleston diocese. 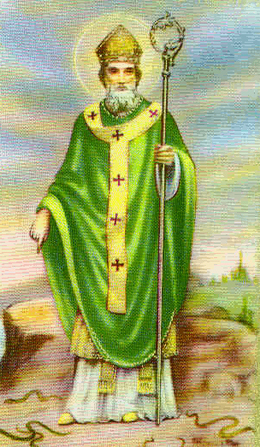 Project Saint Patrick (PSP) is part of the national AOH’s Hibernian Charities. PSP is run in the State by the Bishop’s request, but reports to National Hibernian Charities. Therefore, donations to the Fund are tax deductible. PSP is specifically directed at our diocesan seminarians and candidates in training for the permanent deaconate and other religious vocations. Our Catholic future lies in new men being ordained as Priests and Deacons. But remembering our ancestors formed the AOH to protect our clergy; joining them in this effort is keeping that tradition alive. But depending on the availability of adequate resources, PSP is not limited to those specific vocation areas. The aim of the PSP is to fund grants in perpetuity and increase support to these men and women of God. Funding for Project St. Patrick comes from the SC state divisions efforts either “Begging” at churches and/or special dedicated fund raisers. And funding is received directly to the fund through generous donations by our members and the Catholic community of South Carolina. All PSP administrative cost are born by the SC State Board. Funds are distributed through Vocation Grants administered Project PSP Committee. Members of this committee are the State President, the State Chaplin, the Immediate Past State President and the Chairman of the Project St. Patrick Committee. Request for a Vocation Grant are receive primarily from the following sources: The Bishop, the Director of Vocations, Director of the Diaconate from Charleston diocese, the Project St Patrick committee and the Executive officers of the South Carolina State Board. The request may necessitate a specific request by the recipient depending on the nature of the request. Given the approval of the PSP Committee the funds will be distributed through an award from the fund. Our Hibernian ancestors remained steadfast in their mission to protect and support priests from the penal days in Ireland to the present. As an Irish-American Catholic organization, we continue to foster and support vocations both spiritually and financially. Our efforts in the past are greatly appreciated and hopefully with the continued support of our members we can make this program more successful. I have no doubt that support of Project St. Patrick by the membership in South Carolina will be the most lasting achievement of the AOH in South Carolina. I am proud to have worked on PSP for the last nine years. But the future offers so much more. We can make such a big difference. Questions about Project St. Patrick?